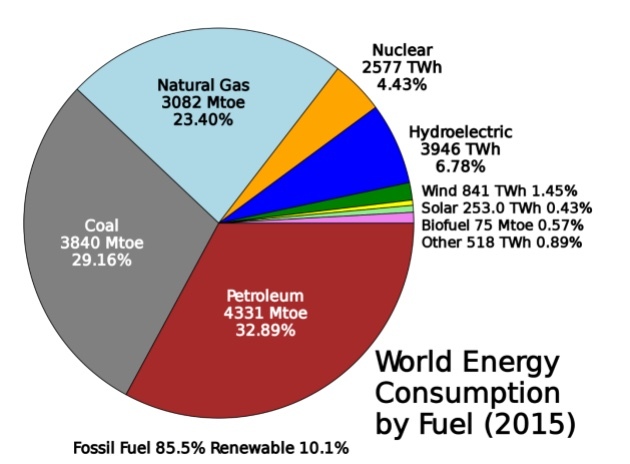 Fossil fuels consisting of coal, natural gas and oil furnish 86% of the worlds energy usage; hydroelectric 7% and nuclear power 4%. Hydroelectric is a renewable energy source, however no large hydroelectric dams have been built in the US in over 30 years and none are in the planning stage. It has taken 40 years to achieve just 3% of the world’s energy use by all other renewable energy sources combined, including solar, wind, geothermal and biomass. 3% is not nearly enough. Even if you do not believe in climate change, then you must believe we will run out of fossil fuels. It doesn’t matter if we run out in 40, 50 or 60 years. The current rate of adding renewable energy guarantees that we will leave our children a world without adequate energy generation. All forms of renewable energy must be accelerated to transition the world from fossil fuels before they are depleted. JennSolar has invented the next generation of solar parabolic troughs which will be the first renewable energy source to cost less than the equivalent fossil fuels in selected markets.